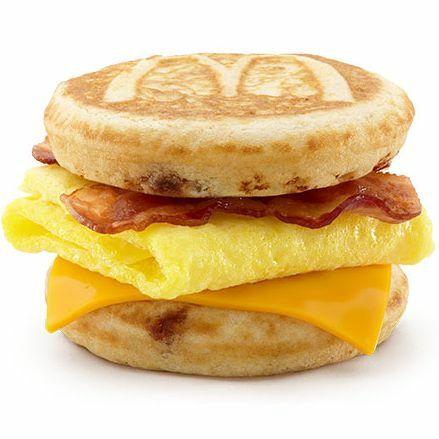 Despite delivering a menu you might call underwhelming during an initial rollout of all-day breakfast, McDonald’s appears to be gearing up to take its 24/7 McMuffin program national. Customers in test markets weren’t fazed by the absence of biscuits and McGriddles, apparently, and McD’s found the results encouraging — so McD’s corporate sent a memo to franchisees telling them that they need to be all hands on deck and ready to serve McMuffins into the evening as early as October. Though the company has created an “All-Day Breakfast Task Force,” it was very cautious in the memo, saying that the launch is not yet an absolute certainty. The corporation has long resisted all-day breakfast because of perceived operational difficulties, and the rollout first needs to be approved by committees and franchisees. But everyone knows you don’t just go and create a Task Force unless you’re super-serious, and the fact that McDonald’s is facing new competition in the breakfast wars from Taco Bell suggests it’s not joking around.